Lighthouse School Leeds has been eight years in the making. It was born from the specialist needs of our children and others like them as they progressed through the education system. Our goal was to create a beacon school that would not only support families with autistic children across West Yorkshire but also build strong ties with the local community and Leeds City Council children’s services to complement existing provision. As a team we have made full use of our shared extensive knowledge and experience in the fields of education, finance, business and management, construction and development to create this school. Over the years we looked at many different options, but the introduction of free schools by the Government gave us the opportunity we needed to make our dream a reality. After delivering our proposal to the Department of Education we were invited to the next stage of the process, an in-depth interview at Westminster before a panel of eight education experts and government advisors. That was followed up with the submission of a financial plan including full budgets and benchmarked costs. When word finally came through that Lighthouse School Leeds could go ahead we were overjoyed. Finally we were on our way to building a school which the whole community can be proud of. In 1886, John North gifted £6,000 to open a convalescent home in memory of his daughter Ida. Chorley and Connon of Leeds were the architects (they were responsible for building some of the most iconic buildings in Leeds including the Hotel Metropole). The hospital opened on 10th May 1888. 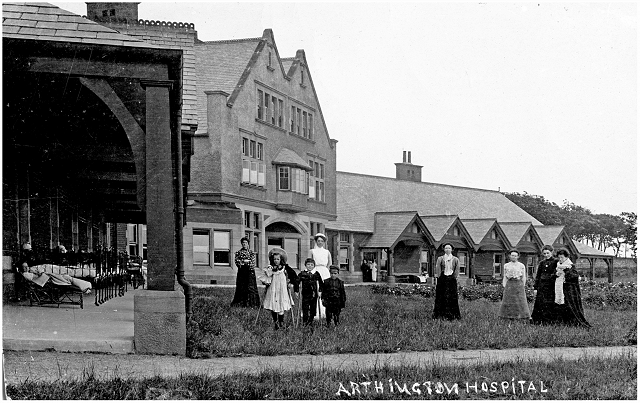 Robert Arthington of Leeds financed a second hospital - known as “the ‘Robert Arthington’ semi-convalescent hospital” - on the adjacent site. The new hospital was opened by the Lord Mayor of Leeds on 18th May 1905. In the later years of the nineteenth century an odd, gloomy figure was to be seen from time to time in Headingley village, buying a few necessities of life, dressed in old clothes green with age and an ancient stovepipe hat passed down from his father. This was Robert Arthington, often called ‘the Headingley miser’, the subject of much talk and speculation in his lifetime and legendary after his death for his legacies of over a million pounds. Cookridge Convalescent Hospital provided a place for patients who had been treated at Leeds General Infirmary to continue their recovery. Patients paid for their own care if they could afford it but there were free places available as a result of donations from benefactors – three weeks convalescence cost around 8 shillings a week. Over the years the convalescent hospital was gradually extended, and during the First World War the building was requisitioned to care for wounded servicemen, resuming its civilian role after 1919. In 1939 when it was again taken over by the Government and briefly housed the Leeds Maternity Hospital. The story of Cookridge Hospital as a cancer treatment centre began in 1952 when it was acquired by the Leeds Regional Hospital Board. The hospital was developed as a Regional Radiotherapy Centre using the latest technology. This required considerable adaptation of the original convalescent hospital plus a number of new buildings which were constructed on the site in the 1950s and 1960s. The relative isolation of Cookridge from population centres was a key factor in its choice for this role in the aftermath of the Second World War. There was much concern about future air raids and the consequent danger posed to the population from the escape of the radioactive materials used in high-dose radiotherapy treatment. With the creation of the NHS in 1948, voluntary and municipal hospitals were to be transferred to state ownership and administered by Regional Hospital Boards. Thus, the Leeds General Infirmary became part of the United Leeds Teaching Hospitals NHS Trust, with the Women’s Hospital, the Leeds Maternity Hospital, the Dental Hospital and the Ida and Robert Arthington Hospital. In 1998, this group then merged with the St James’s & Seacroft University Hospitals NHS Trust to form the Leeds Teaching Hospitals NHS Trust. The Hospital closed in 2008 when patient services were transferred to a brand new facility at St James’s Hospital in Leeds.